The best way to wish your loved ones. 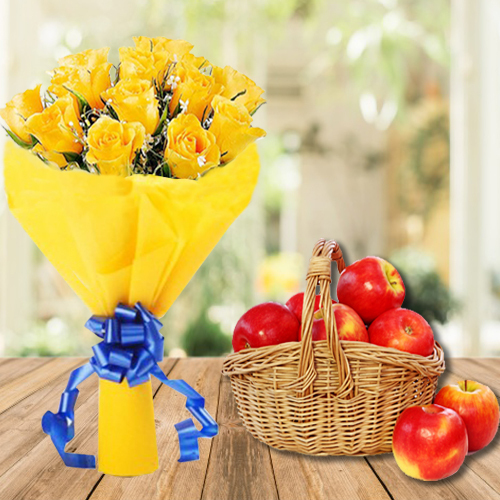 Send Wishes with fresh flowers and healthy fruit basket and see the beautiful smile on their face. This gift hamper is perfect for any occasion Diwali, Christmas, New Year, Birthdays, Wedding Anniversary or Just because. A bunch of 15 fresh yellow roses.